The purpose of this article is to popularize a light web-based software system for downloading extra documents with personalized access in intranet environment. The presented system is developed as a software product which is installed and it is used in Varna University of economics. It is comparatively small, light, compact and user-friendly for installation, usage and administration. 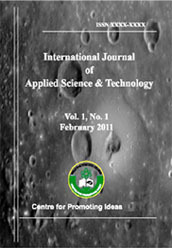 The exposition of the article is aimed at promotion of a software product which facilitates the educational process. Copyright @ 2014: www.ijastnet.com | All Rights Reserved.